The following poems have been copied from many sources, where known the author has been indicated. 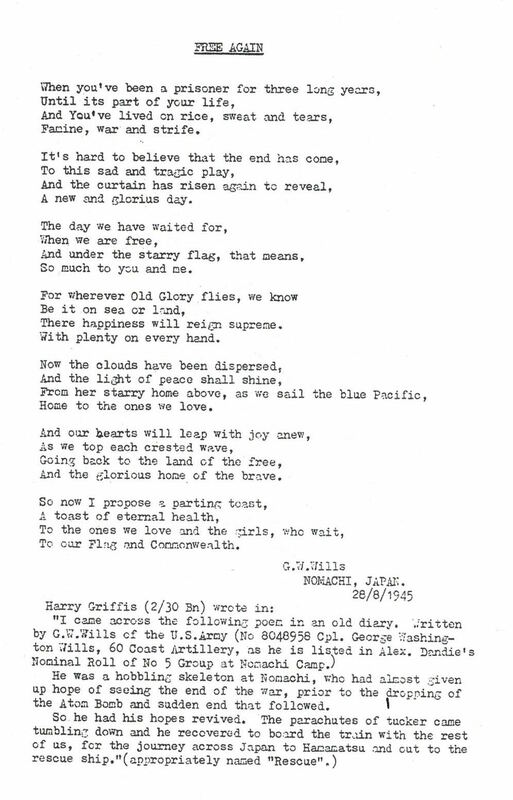 They are poems of particular significance to the men of the 2/4th Machine Gun Battalion and to the families and friends they have left behind. 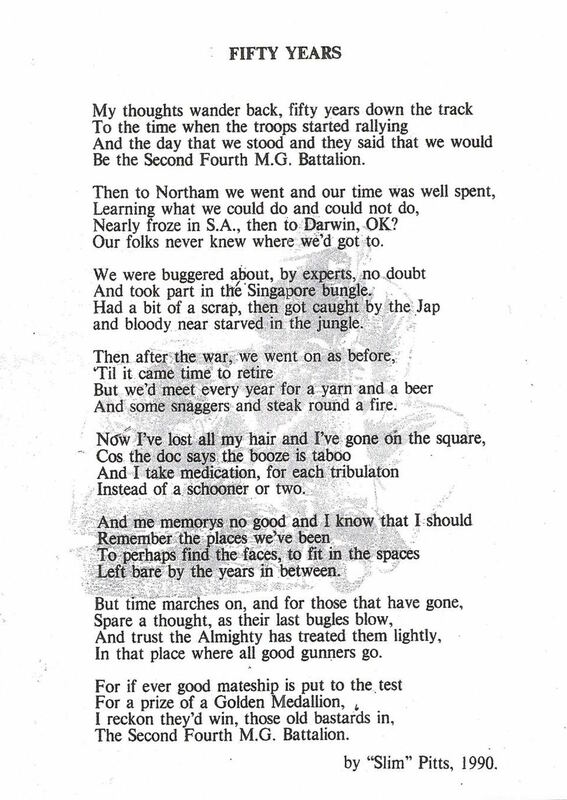 Many of the poems were first published in the Battalion’s postwar ‘Borehole Bulletin’. 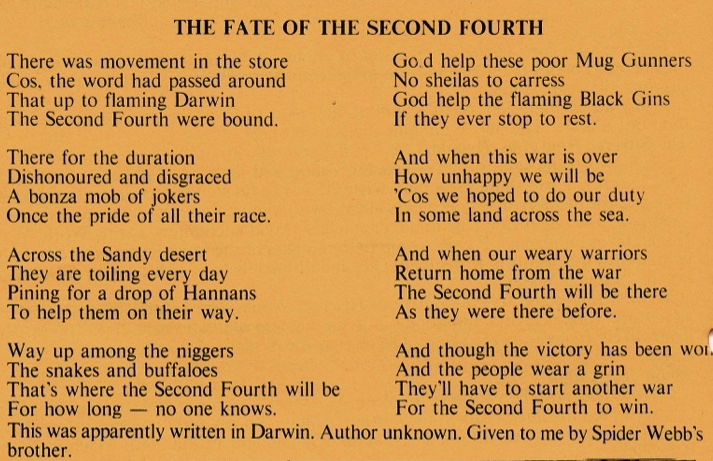 The Fate of the Second Fourth (probably written in Darwin) writer unknown. With no idea of where they’d go or when that war would end. And Toodyay was the country town these brave young men were from. To fight against the Japanese, prepared to meet their fates. 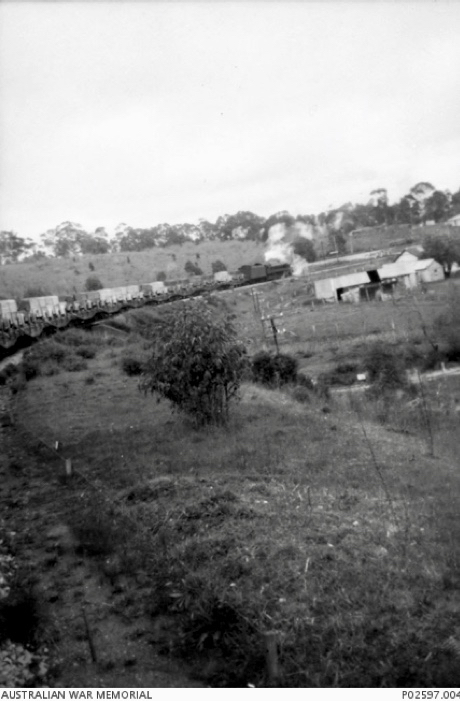 So our four boys from Toodyay town marched off to join the war. And who could know how hard it was to bid them all farewell. Would send their sons away to be a line on history’s page. As soldiers of the 2nd/4th Machine Gun Regiment. Our 2nd/4th machine guns would be sent to Singapore. This tiny island nation was important for Japan. A step toward Australia it was vital to their plan. Malaya had been taken, they had Singapore in sight. The 2nd/4th Machine Guns were now thrown into the fight. Along with other forces they put up a grand defence. For one long month they held against fierce Japanese offence. The enemy were far too strong and captured Singapore. Our Dorizzi boys and Reggie were now prisoners of war. To suffer new brutality of monumental scale. But our boy’s fate would be much worse, they’d suffer to a man. Our four young lads from Toodyay town were sent to Sandakan. And knew they would be there until the war had run it’s course. 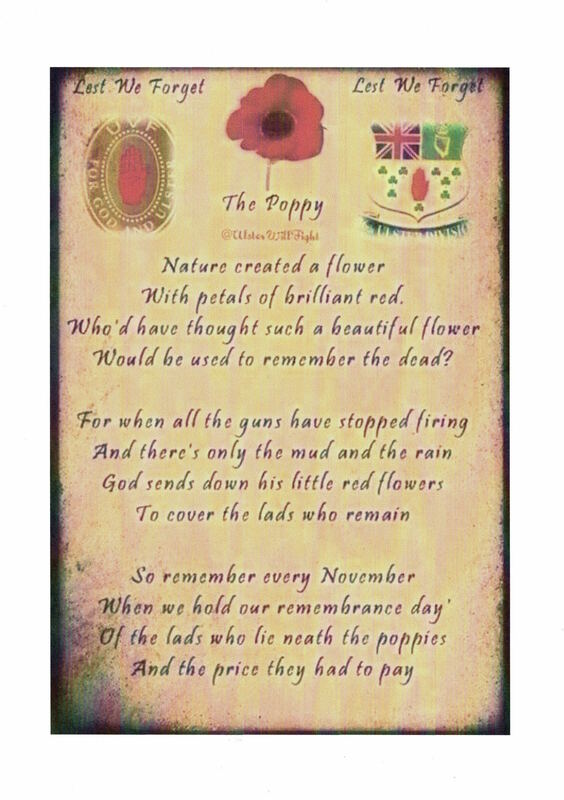 But our brave men would not forget what they were fighting for. And each one to a soldier was worth ten of any man. They suffered from starvation and were worked until they dropped. They beat them if they faltered and they shot them if they stopped. But when the allies dropped their bombs the prisoners all cheered. The airfield was beyond repair before the smoke had cleared. They knew though they were prisoners they had not lost the war. And forced our men before them as their final march began. One sixty miles through jungle growth they marched toward Ranau. Through three long years as prisoners, their fates were final now. But hope they knew salvation as they found relief at last. Yet only six Australians would make it home once more. But all their friends and family were left to feel the pain. But only those brave men could know what freedom truly cost. So you and all Australians could have the life we live. 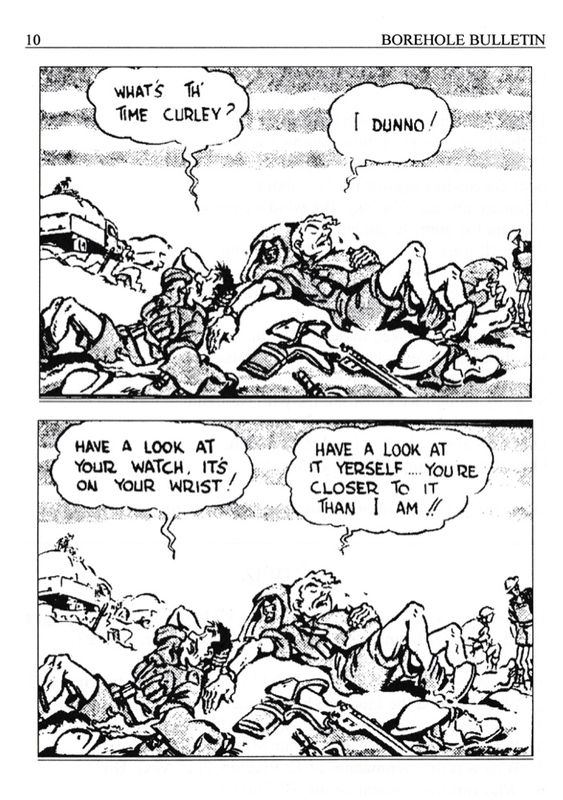 They lost it all in Sandakan when they went off to war. You’ve got to have a “Mate”. Because ‘e is your mate. An’ bamboo for a plate. Was bed for me and “Mate”. Til ‘e has lost his “Mate”. And she reads them once or twice a day since her son went off to war. Still, she sits on her verandah and waits the postman every day. Hoping with her every prayer there’ll be more letters home. She feared that even with her prayers her boy might come to harm. And then she knew there’d have to be no more letters home. But the time between grew more and more and he had less and less to say. And she worried it would all too soon mean no more letters home. This letter had come weeks ago but from where she didn’t know. And she hoped that all these newfound friends had sent their letters home. And that so far all the fighting was much further down the line. But she loved him for the little lie and simply let it go. Still praying there would always be more letters coming home. And looked out through the window as she walked across the floor. They had finally come to tell her there’d be no more letters home. Then bravely called on all her strength and with her apron wiped her eyes. Instead she’d have to tell him why there’d be no more letters home. 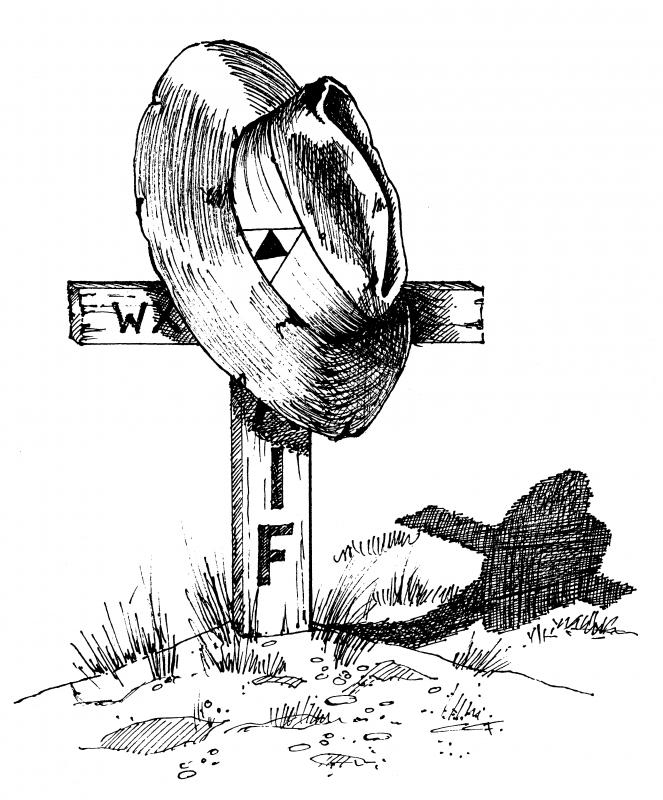 And saw the soldier standing there with his worn and weathered face. “Hello Mum, my war is over, so there’ll be no more letters home”. 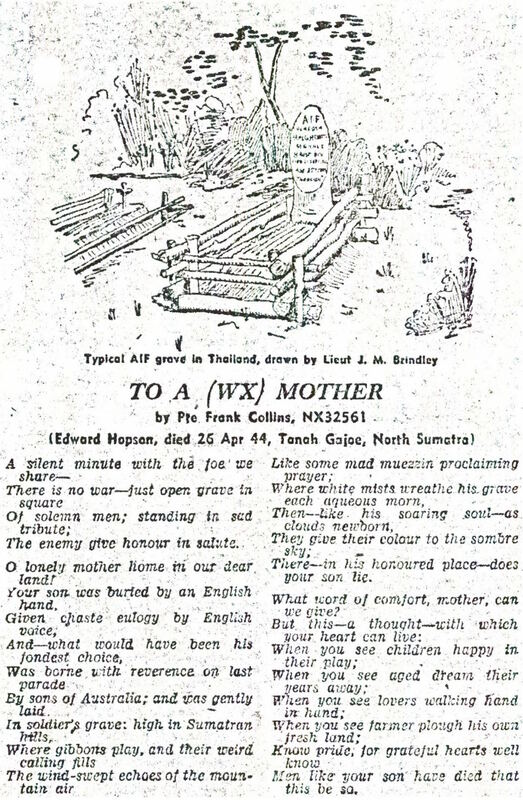 Dame Mary Gilmore, recognised for her services to Australian literature, wrote a pretty fiery poem, March 1942, on the fall of Singapore. Read her poem Singapore . The poem below was printed in ‘Borehole Bulletin’ July 1990. And we meet up there with thee. The above poem was written by Ted Murtagh, it was supplied by his daughter to 2/4th and included in Borehole Bulletin January 1999. Please read about Ted’s movements as a POW.